 Spread the tomato sauce over the risen pizza bottom. Quarter or half the cherry tomatoes or slice the large tomatoes. Slice the mozzarella small. 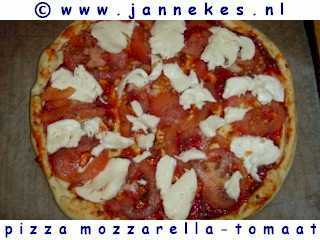 Sprinkle both with the Italian herbs and salt at flavour and divide mozzarella and tomatoes over the pizza . Bake the pizza about 12-15 minutes in the upper part of the baking oven .